WTB: Driver side tail light. 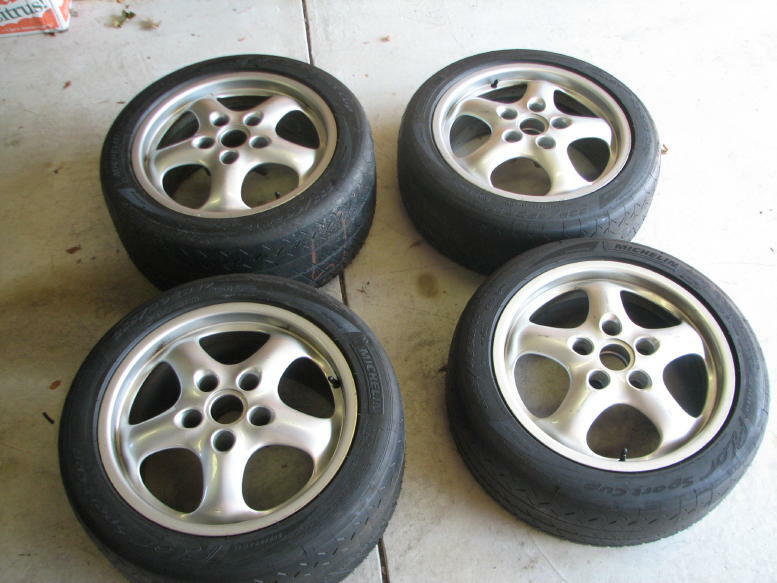 One set of "Cup 1" style wheels (Italian made, from tirerack) 964 fitment. 7.5"x 17" /52mm offset in front, 9"x17"/47mm offset in rear. Mounted with new, unused, Michelin Pilot Sport Cups. 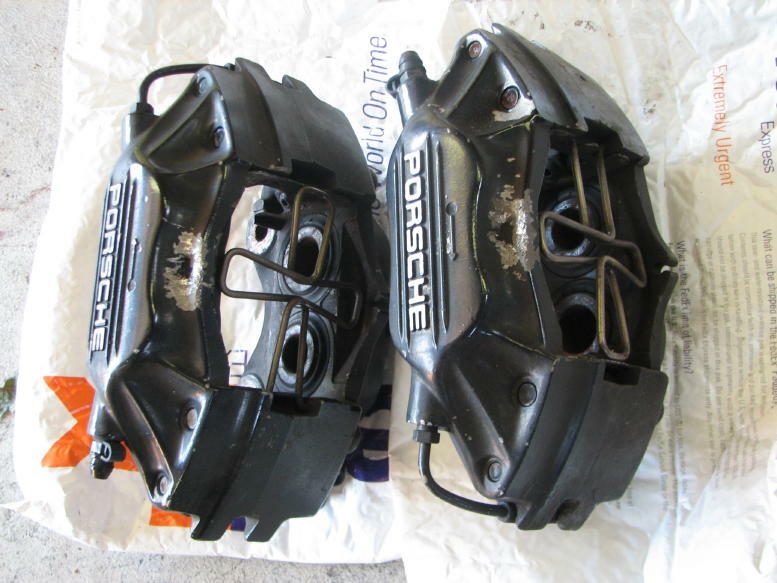 225/45-17 Front and 255/40-17 Rear. Wheels are straight and true, but a bit scuffed. Only used for track. Asking $1,200. 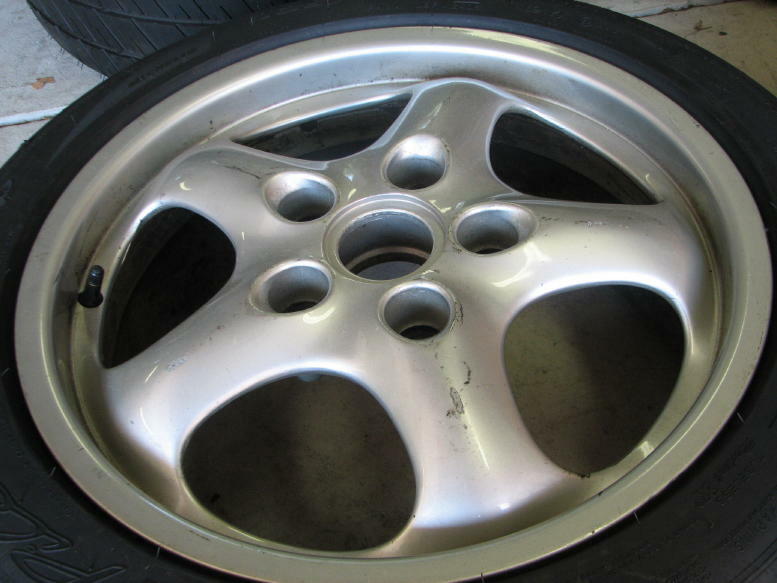 Prefer local pick-up from central NJ (08648) for wheels, but can ship if necessary. 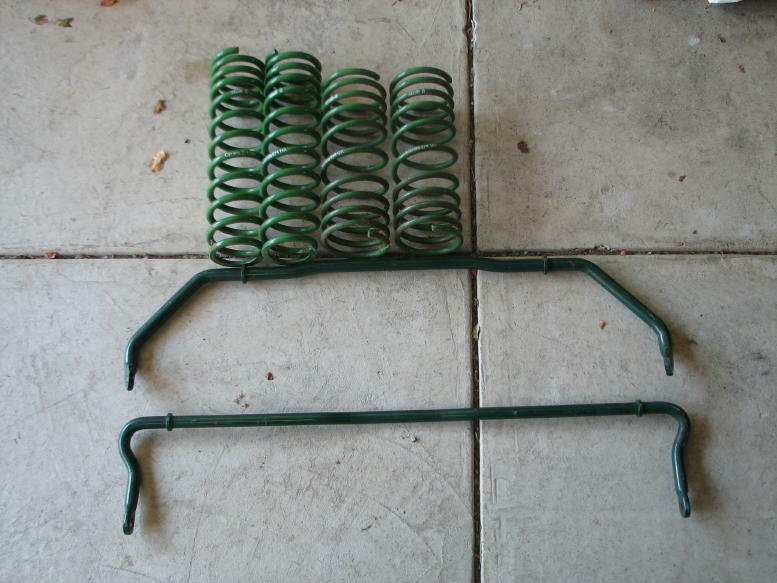 -One set of H&R "green" springs for C2/4. Used, but in fine shape. $200. my doing!) $500? o/b/o. for the set. Please email or PM for photo's or more info. Thanks! Wife says that my spare parts pile is getting too big. Here's the offer list to Rennlisters before they go up on eBay. 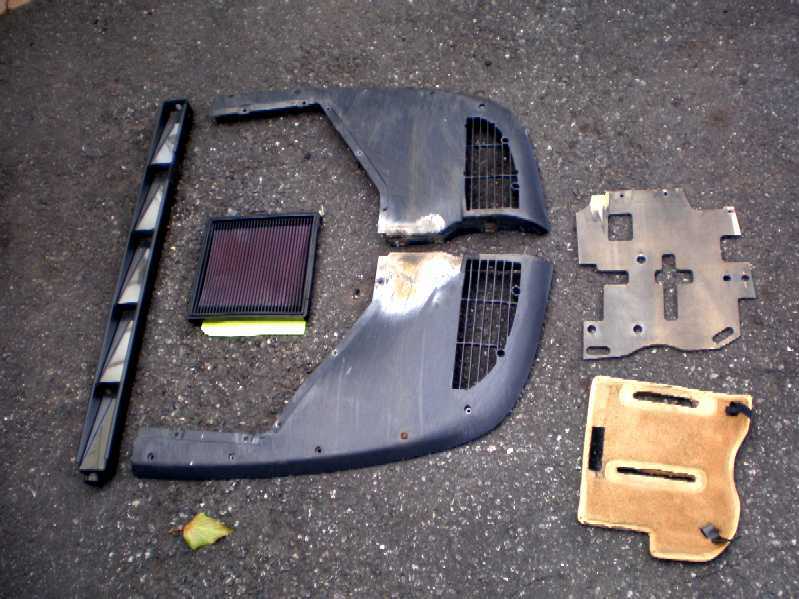 All of these parts are from a 91 - 964.
amber front side marker lights. soon to be available as soon as I take it off my car. I was looking to replace my Right side "Shark Fin" rocker piece and bought a Shark Fin and Rocker panel off of ebay a while ago. Turns out that what I was sent was the Left side pieces. I wound up just epoxying my broken clips back in. so I do not need these parts anymore. It is in fairly good condition, all the clips in place. It is dark blue and its off of a 1991 C2. I will post pics when I get a chance. I am hoping to get what I paid for it. $175 including shipping. WTB- Need the black plastic undertray on the bottom side of the front bumper. 1 JL Audio E1200 Monoblock Amplifier $110 200W x 1 at 2ohms or 120W x 1 at 4ohms. 2 JL Audio W6 6" subwoofers $100 75W handling power. These subs are specially designed to perform with a small enclosure volume. I had the above setup installed in my former truck in a custom enclosure I built. All components work perfectly and look like new. I also have an Alpine 4/3/2 amplifier model #3555. $80 200W x 2 or 50W x 4 I removed this from my current car to install the sub mounts for my harnesses. BTW the tan is cosmoline and is removable. 94 speedster. 5 speed, factory sport seats. Open on colors, speed yellow, red, silver, gray, black. AC and limited slip would be nice, but not must haves. Springs and Swaybars from my recent post have been sold. (Thanks guys!) Track wheels/tires and brake calipers are still available. Thanks!